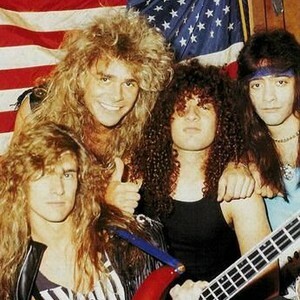 White Lion was a Hard Rock band of the 1980s and early 1990s. Their manager, Mike Parente, also owned L'amour, a club in Brooklyn. The band was formed in New York City in 1983 by Danish-born vocalist Mike Tramp (born Michael Trempenau) and guitarist Vito Bratta, who wrote most of the band's songs. The band's other members were James Lomenzo (bass) and Greg D'Angelo (drums). After moving from Denmark to New York in 1982, vocalist Mike Tramp (ex-Mabel,ex-Studs) met Brooklyn guitarist Vito Bratta (ex-Dreamer) and they decided to form a band. After moving from Denmark to New York in 1982, vocalist Mike Tramp (ex-Mabel,ex-Studs) met Brooklyn guitarist Vito Bratta (ex-Dreamer) and they decided to form a band. The two recruited drummer Nicki Capozzi and bassist Felix Robinson (formerly of Angel) and named the group first Lion, then White Lion. White Lion was signed by Elektra records in 1983 and recorded their debut album Fight To Survive. However, Elektra was unhappy with the final recording and, after refusing to release the album, terminated their contract. Both Capozzi and Robinson soon left the band. Nicki Capozzi was replaced by former Anthrax drummer Greg D'Angelo, and Felix Robinson was replaced by bassist Dave Spitz (brother of Anthrax guitarist Dan Spitz). Within a month of joining, however, Dave Spitz left to play bass with Black Sabbath and was replaced by James Lomenzo. The album Fight To Survive was eventually picked up by RCA and released in Japan in 1984. The small US independent label Grand Slamm records finally released Fight To Survive in the US on November 9, 1985. A few months later, Grand Slam records went bankrupt. In early 1986 White Lion, with a fictitious "female" member, had a brief part in the Tom Hanks/Shelley Long movie The Money Pit. The following year, Atlantic Records released White Lion's second album, Pride, which brought significant success for the band, especially the single "Wait", which climbed to 8th place on the U.S. charts and was popular among fans of heavier metal as well. "When the Children Cry" was an even bigger hit, reaching 3rd place on the charts. That year Atlantic Records also released Fight to Survive worldwide and White Lion toured with Frehley's Comet, Kiss, AC/DC & Stryper. In 1989 the album Big Game came out and was a still more successful, helping to solidify White Lion's place among the top tier of hard rock bands of that time. The band's cover of "Radar Love", a classic originally recorded by Golden Earring, was the hit single off of Big Game. 1991 brought Mane Attraction, which was their best album yet, according to Greg D'Angelo, containing the top tracks "Lights And Thunder" and a new version of "Broken Heart", which had been one of their first songs off of their debut album. In 1992, Greg D'Angelo and James Lomenzo had enough of Tramp and Bratta's continuous fighting, so they left the band. Bassist Tommy T. Bone Caradonna and drummer Jimmy De Grasso replaced them briefly, but in autumn of the same year, White Lion disbanded. Greg and James have played in different groups after White Lion. Vito Bratta concentrated on classic guitar playing and has not been involved with any bands since. Mike Tramp went on to form and front Freak Of Nature, a short-lived project spanning 1993-1994, with Danish friend Oliver Steffenson. In 1998 Mike released Capricorn, his first of four solo albums. In 2005, Tramp's White Lion - an all-new, much younger line-up fronted by Mike Tramp - toured and recorded the live album Rockin' The USA. In 2008 they released Return Of The Pride under the original name, White Lion. Due to legal issues between Tramp and Bratta, White Lion is currently on hiatus.